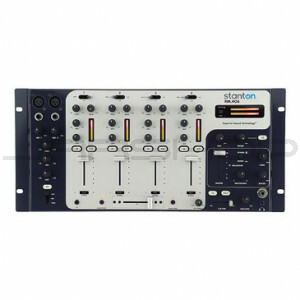 The RM.406 is the choice for club and mobile DJs who want it all. This 4-channel, rackmount-style mixer has all the essentials (SST™ technology for pristine audio quality, diffused LEDs and lighted controls)—but goes even further by adding an FX Loop, Booth and Subwoofer outputs, and a total of three Microphone inputs. Whether mixing with turntables, CD players or DVD, the RM.406 is ready for anything.